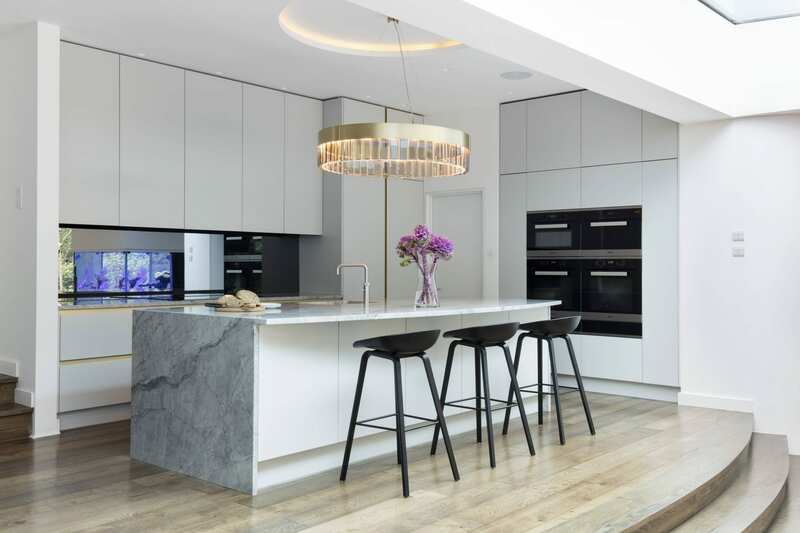 For this project, the brass-effect finish within the panels of the handless units, perfectly complement the beautiful chandelier and marble worktops. 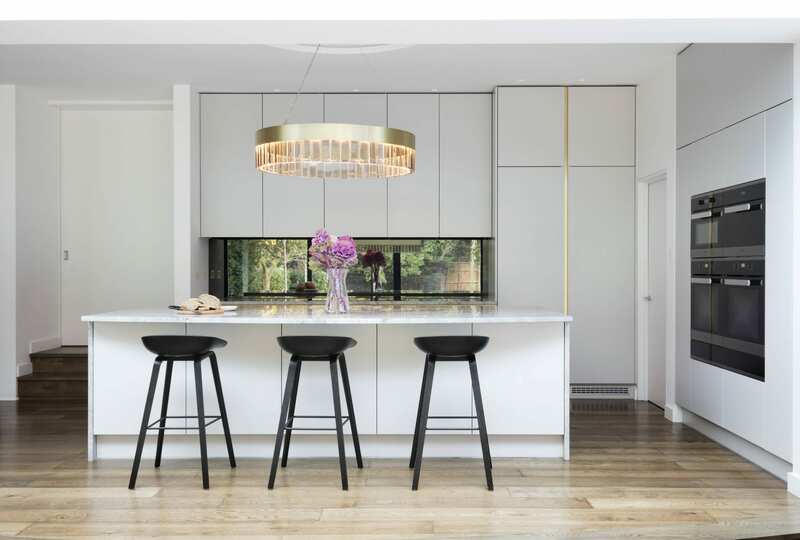 Opting for bold tones, textural surfaces and contrasting colours that are tactile in appearance creates an engaging feel. 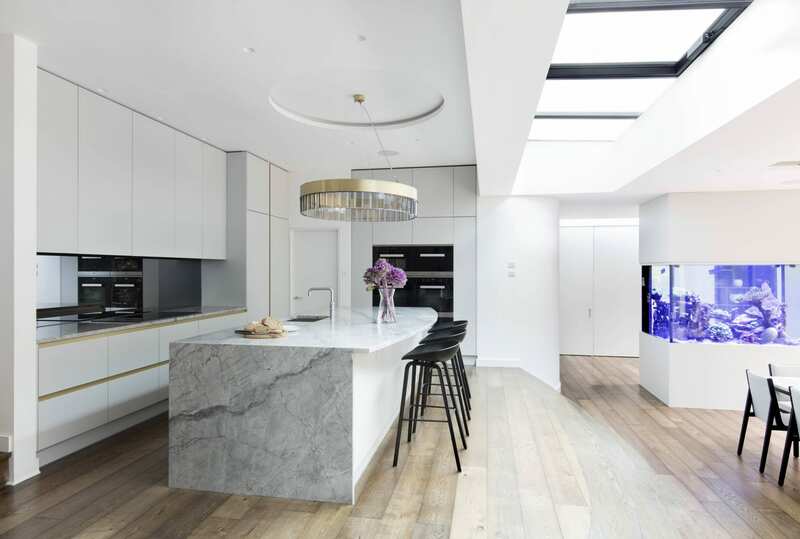 The dominant use of white within the colour palette of this kitchen opens up the space and reflects the natural lighting streaming through the skylights dramatically enhancing the appearance of space. Tall units, on both sides of the ovens, accommodate push to open, electrics, pull out larder units. To maximise storage, units were created on both sides of the island. 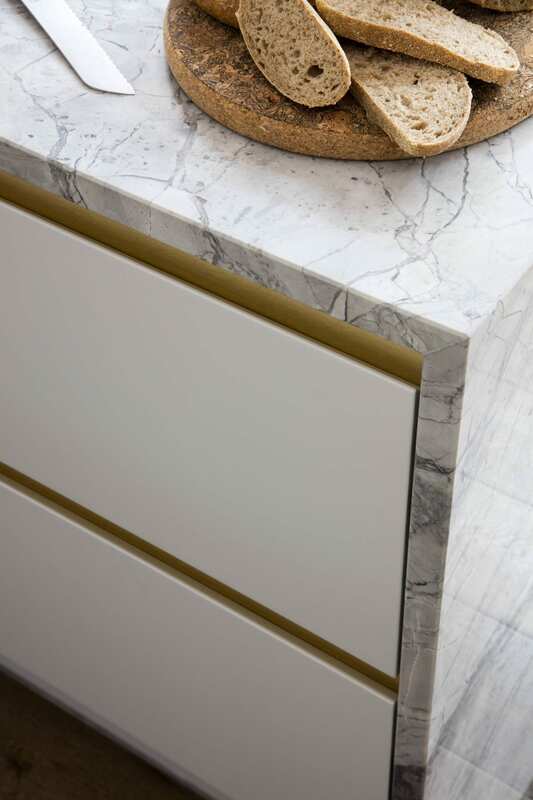 Brass recessed channel, beautifully highlight simple lines of the drawers and elegance of Moonrock granite. To add warmth, we crafted a bespoke, shelving which can be moved aside when more floor space is required. 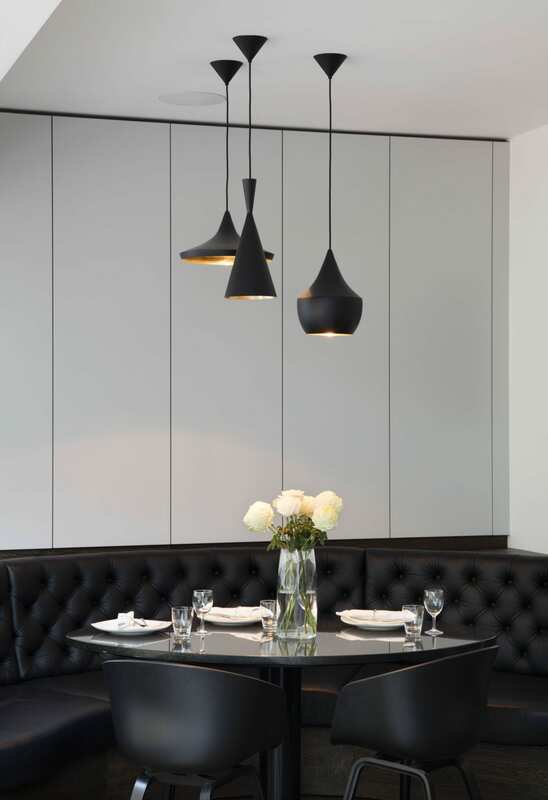 Beautifully organised interior in this dining area, styled with a lighter and darker palette. 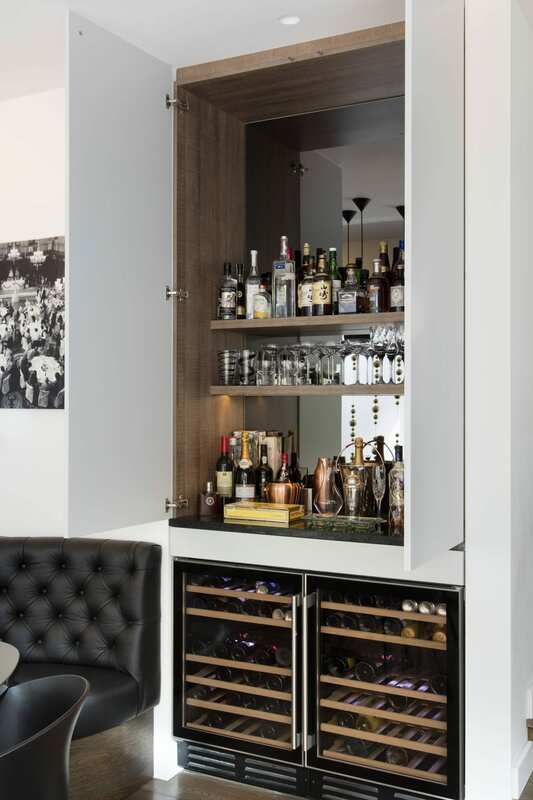 Bar unit with wine fridges offers additional, beautifully finished storage in the dining area. 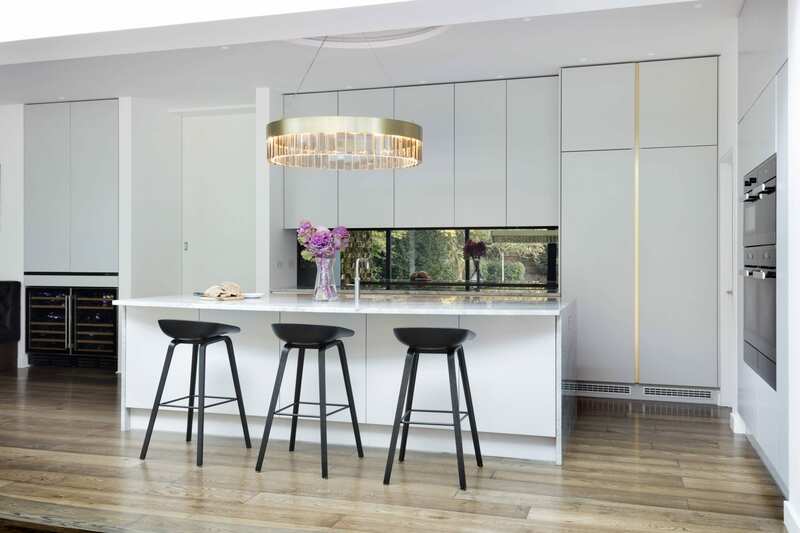 Internal mirror and lighting add character and depth.